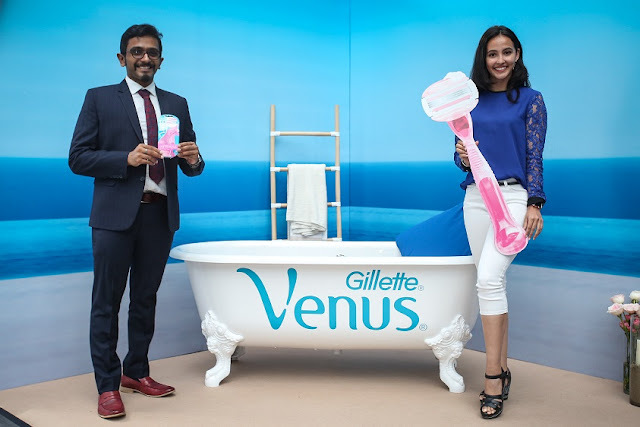 Procter & Gamble today officially launched the number one-selling female razor brand in the world, Gillette Venus in Malaysia with the introduction of the Gillette Venus ComfortGlide White Tea razor. 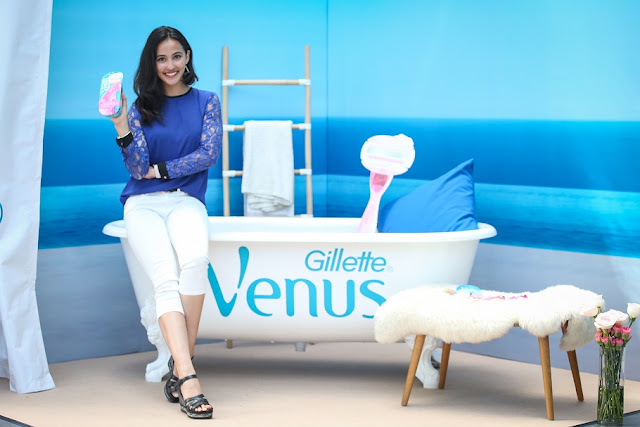 At the launch, Gillette Venus also announced its first local brand ambassador; the Malaysian SEA Games artistic gymnastics gold medalist, Farah Ann Abdul Hadi. The Gillette Venus range of products now available in Malaysia, is created especially for women to attain smooth, longer lasting hair-free skin at home, at their convenience. The Gillette Venus ComfortGlide White Tea which was launched at the event, is designed with built-in moisture bars that have rich body butters and a fresh tropical scent with no shaving cream required. It features three curve-hugging blades for a close, comfortable shave even on sensitive skin. The ergonomic handle is made for a woman’s grip, and less likely to slip in the bath or shower where most women shave. “Gillette Venus understands the importance of feeling good in one’s own smooth skin. The upkeep of a woman’s grooming routine can oftentimes be a lengthy, painful and expensive process. Keeping that in mind, Gillette Venus’ specially designed range of products including the Gillette Venus ComfortGlide White Tea is the solution for today’s modern-day women to help them achieve smooth skin in a convenient, painless and affordable way,” said Utkarsh Mohan, Shavecare Category Leader, P&G Malaysia, Singapore, Global Development Markets Asia and Vietnam at the launch event. During the launch, Gillette Venus addressed the several common myths about hair removal which women all over the world believe to be true with a panel discussion. “Sometimes we receive beauty advice and tips from friends and family without knowing if there is any real truth behind it. It may not be easy to identify fact from fiction with so many different and contradicting beliefs about hair removal. Hence, Gillette Venus is here to educate women in Malaysia on the misconceptions associated with hair removal methods,” Mohan added. Sharing her thoughts in the panel discussion, brand ambassador Farah Ann mentioned that proper grooming from head to toe is important for her as a national gymnast and she has always followed a strict regime when it comes to taking care of her skin. “I don’t have to worry with Gillette Venus as its unique design ensures that the female razor is not harsh on the skin and leaves my skin feeling smooth and moisturized. To top it off, shaving is hassle free,” said Farah Ann. The Gillette VenusÒ range of products are available for purchase at all leading retailers in Malaysia such as Tesco, Giant, AEON, AEON Big, Mydin, Watsons, Guardian and more. Please refer in-store for more details. All decisions on pricing, promotion, distribution, assortment and shelving are at the sole discretion of the retailer.